Katie D. Cintolo joined Kajko, Weisman & Colasanti as an Associate Attorney in 2017. Ms. Cintolo concentrates her practice in all areas of domestic relations including divorce, custody, child support, modification, alimony, and paternity matters. Prior to joining the firm, Ms. Cintolo worked as an Associate Attorney at Stone, Stone & Creem, a domestic relations law firm in Boston for 7 years. Before entering private practice, Ms. Cintolo served as a judicial law clerk for the Massachusetts Probate and Family Court where she worked for the Justices in Middlesex, Norfolk, and Worcester Counties, as well as the Administrative Office. During her two years as a law clerk, Ms. Cintolo assisted the Justices of the Probate and Family Court with a variety of domestic relations, probate, and equity matters. 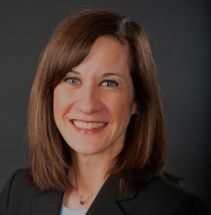 Ms. Cintolo is a member of the Massachusetts Bar Association, the Boston Bar Association, the Middlesex Bar Association, the Greater Boston Family Law Inn of Court, and is the Vice President of the Massachusetts Association of Women Lawyers. In addition, she is a member of the Women's Bar Association through which she is actively working on legislation to establish civil and criminal penalties for female genital mutilation in Massachusetts. Ms. Cintolo is also a Certified Financial Litigator and a member of the American Academy of Certified Financial Litigators. Since 2013, Ms. Cintolo has been actively involved in the Attorneys Representing Children ("ARC") program through the Middlesex Probate and Family Court, which provides pro bono representation for children in high-conflict domestic relations proceedings. She also serves as a mentor for the Women's Bar Foundation's Family Law Project for Battered Women. In 2012 Ms. Cintolo was named a New England "Rising Star" among lawyers in Massachusetts in The Boston Magazine. Ms. Cintolo was also named an "Up and Coming Lawyer" in 2017 by Massachusetts Lawyers Weekly. This award recognizes Massachusetts attorneys who have been members of the bar for 10 years or less and have already distinguished themselves as rising starts in the legal community.